Sipping my name-brand triple decaf espresso, I watched a mother trying to hustle her five-year old twins out the door, telling them they didn’t want to miss Skyping with Daddy tonight when he called from Afghanistan. 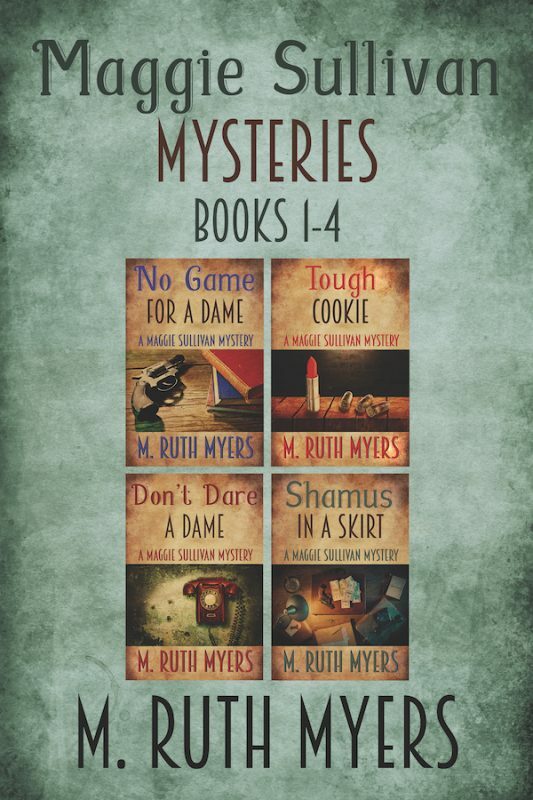 That started me thinking about my favorite fictional detective from Dayton, Maggie Sullivan, and how she heard her war news in the early 1940s. Hearing from someone else could be as easy as eavesdropping, telephone, letters or personal contact. Newspapers were available to anyone who could afford a few cents to spare. Newsreels were shown prior to movies in theaters, but again, available to only those who could afford the movie. But with radio, one could listen to up-to-date news in the comfort of one’s home, and not continue to pay for each update, as with the newsreels and newspapers. Newsreels and newspapers had the added disadvantage of being outdated by the time they were printed. If you had your radio prior to 1942, you were good to go. After that, like many other civilian non-necessities, they were not manufactured as the plants converted to making items needed for the war. Most city residences had electricity by the war, and that powered the radios. For those who either didn’t have electricity yet, such as many farms, or those who had older models, dry cell batteries powered their radios. Folks back on the farms favored radio listening at the end of the day after chores and supper. Newspapers were not delivered, but radio was right there. Dad could relax and mom could mend while both listened to dispatches from correspondents, and then listen to performers such as Frank Sinatra, The Mills Brothers, Bing Crosby as well as band leaders Jimmy and Tommy Dorsey, Harry James, and Duke Ellington. A favorite, Captain Glen Miller, left his well paying job as a civilian bandleader and performer and enlisted at the age of 38 in 1942. He led the Band of the Army Air Force training command on a radio show called “Sustain the Wings, ” where folks who were already fans could still hear him. On December 15, 1944, his plane disappeared over the English Channel, leaving a mystery that continues to this day. Although there are many theories about his probable death, neither his plane nor body was ever found. Edward R. Murrow and Lowell Thomas were some of the commentators remembered by the Greatest Generation, as Maggie and her contemporaries were called. Maggie, a single working woman who lived in a boarding house with other women, could afford both a newspaper and to watch an occasional movie. She could, and did on occasion, listen to the radio owned by one of her housemates. In 1943, two commercial radio stations operated in Dayton. She probably listened to local radio station WHIO, radio station 1290, affiliated with CBS then, as today. The only other Dayton station available in 1943 was Great Trails Broadcasting, WING, 1410, which was the older of the two but had undergone several name changes. Almost everybody was interested in news of the war, not only because so many people knew soldiers, but because it affected what everyday commodities were available. The other option available to people around the world during World War II was the clear channel WLW 700 from nearby Cincinnati. The FCC cut the station back to “only” 50,000 watts prior to 1940, which gave it coverage over most of the United States. But during the early years of the war, they permitted WLW to once again broadcast 500,000 watts, which could be heard all over the world. Maggie could be listening to WLW in Dayton, a mere 50 miles away, while soldiers in both the European and the Pacific Theater could be hearing the same broadcast. Coming back to the present, that mother whose children were to talk to their daddy in the war half-way around the world would use a computer that functioned like a television on both ends of the conversation. Technology now allows more immediate contact with loved ones in the war zone than radio days. But in World War II, radio was the fastest way to date to keep up with world happenings. As I cleared my table, I thought, “Maggie could have eaten all week for what I just paid for this coffee.” Yet now, as then, listening to radio is still a quick way to learn news and it still costs nothing. 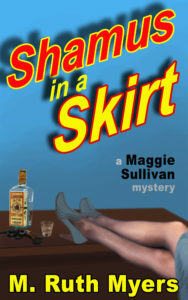 Shamus in a Skirt, book 4 in the Maggie Sullivan mysteries, is 99c today through May 2. Murder and missing jewels at a posh Ohio hotel draw 1940s detective Maggie Sullivan into a deadly cat-and-mouse game with refugee European royalty and Hollywood bigwigs. Please correct Edward R Murrow’s name. You spelled it “Morrow.” Otherwise, good article and big fan of Maggie Sullivan. Thanks for catching this. Faulty proofreading on my part, I’m afraid. 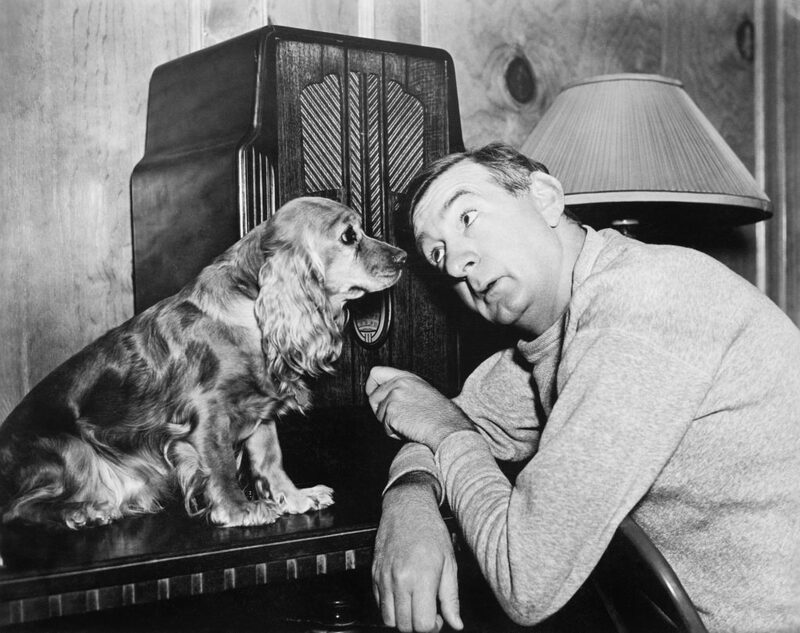 Murrow was one of my childhood idols.